In September, 2011, Republican Mitt Romney presented a comprehensive jobs plan he believes will reinvigorate the American economy and decrease unemployment. Romney's Jobs Plan research paper due and don’t know how to start it? How about like this? In September, 2011, Republican Mitt Romney presented a comprehensive jobs plan he believes will reinvigorate the American economy and decrease unemployment. The plan is 160 pages long. In addition to advocating particular reforms, the jobs plan directs criticism toward the policies pursued by the Obama administration. Much of Romney's jobs plan focuses upon changing the federal government's role in job creation. 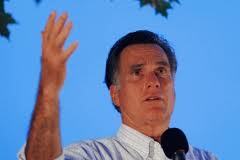 Romney argues for the reallocation of government funds to support research in the development of new technologies. In addition, he argues for improved efficiency within the federal government. His recommendations are contrasted with the stimulus plan adopted by President Obama. Romney contends that the stimulus failed for three reasons. First, the federal government did not offer companies permits to act quickly enough. Second, Obama favored union labor. Third, too few shovel ready projects actually existed. Romney's redistribution of government funding to technological research and development would correct these errors. Romney's jobs plan also makes recommendations aimed at improving the level of human capital in the United States. He views the federal government's current retraining program as inadequate. He seeks to streamline and cut those programs in favor of reemployment accounts that will fund coursework primarily provided by community colleges. Romney also believes that the United States should ease its immigration restrictions on skilled foreign workers, a strategy that may not be popular with some anti-immigration members of the Republican party. Paper Masters writes custom research papers on Romney's Jobs Plan and discuss the comprehensive jobs plan that Romney believes will reinvigorate the American economy and decrease unemployment.